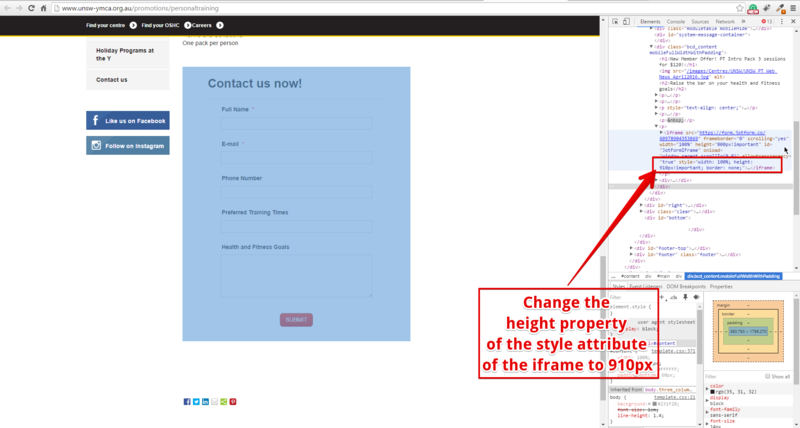 Hi When I place the iframe of my form on the website it does not display at the correct height. When i preview the form in jotform the height is correct. In your website(code) where the iframe code of your form is embedded, can you try doing what's shown on the image below and see if that fixes the issue you're having?